‘American Tropics’ refers to a kind of extended Caribbean, an area that includes the southern USA, the Atlantic littoral of Central America, the Caribbean islands, and northern South America. European colonial powers fought intensively here against indigenous populations and against each other for control of land and resources. The regions in the American Tropics share a history in which the dominant fact is the arrival of millions of white Europeans and black Africans; share an environment that is tropical or sub-tropical; and share a socio-economic model (the plantation), whose effects lasted at least well into the twentieth century.The imaginative space of the American Tropics therefore offers a differently centred literary history from those conventionally produced as US, Caribbean, or Latin American literature. 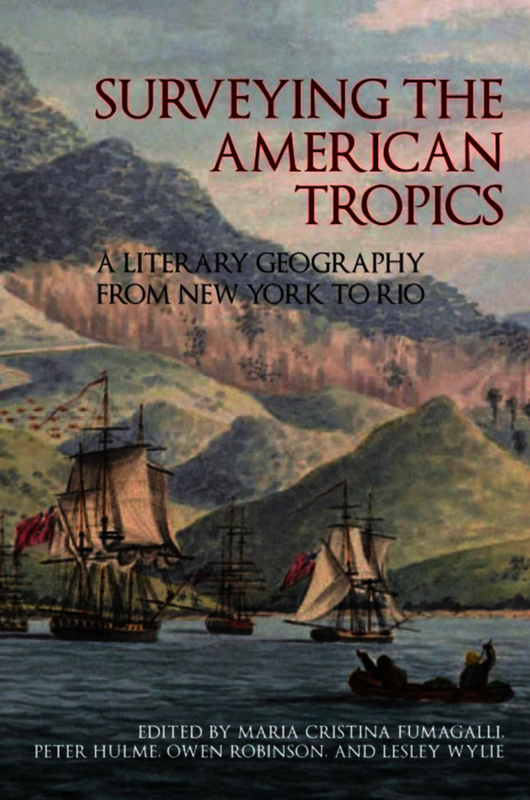 This important collection brings together essays by distinguished scholars, including the late Neil Whitehead, Richard Price, Sally Price, and Susan Gillman, that engage with the idea of a literary geography of the American Tropics and that represent the rich diversity of the writing produced within this geographical area. Published as part of the output from a major AHRC-funded project on examining the literary links of the American Tropics region Includes a number of distinguished contributors, including Peter Hulme, the late Neil Whitehead, Richard Price and Sally Price. Establishes a new critical agenda for both Latin American and American literary studies. Notes on Contributors: María del Pilar Blanco is Lecturer in Latin American Literature and Culture at University College London. Maria Cristina Fumagalli is Senior Lecturer in the Department of Literature, Film, and Theatre Studies at the University of Essex. Nina Gerassi-Navarro is Associate Professor of Latin American literature at Tufts University. Susan Gillman is Professor of Literature and American Studies at the University of California, Santa Cruz. Hsinya Huang is a Professor in the Department of Foreign Languages and Literature, National Sun Yat-Sen University, Taiwan. Peter Hulme is Professor of Literature in the Department of Literature, Film, and Theatre Studies at the University of Essex. Gesa Mackenthun teaches American Studies at Rostock University, Germany. Russell McDougall is Associate Professor in the School of English, Communication and Theatre at the University of New England. Martha Jane Nadell is Associate Professor of English at Brooklyn College of CUNY. Alasdair Pettinger is an independent scholar based in Glasgow. Richard Price retired in 2011 as Duane A. and Virginia S. Dittman Professor of American Studies and Anthropology at the College of William and Mary. Sally Price retired in 2011 as Duane A. and Virginia S. Dittman Professor of American Studies and Anthropology at the College of William and Mary. Owen Robinson is Senior Lecturer in US Literature in the Department of Literature, Film, and Theatre Studies at the University of Essex. Mimi Sheller is Visiting Associate Professor in the Department of Sociology and Anthropology at Swarthmore College and Senior Research Fellow in the Centre for Mobilities Research at Lancaster University. Neil L. Whitehead was Professor of Anthropology at the University of Wisconsin, Madison until his death in 2012. Lesley Wylie is Lecturer in Latin American Studies at the University of Leicester. These essays specifically deal with the establishment of a literary geography of the region. Surveying the American Tropics offers a trove of intellectual riches. It is rare to find a collection in which each essay engages readers in so many challenging and satisfying ways. Maria Cristina Fumagalli is Professor of Literature at the University of Essex. She is the author of 'Caribbean Perspectives on Modernity: Returning Medusa's Gaze' (University of Virginia Press, 2009) and co-editor of 'Surveying the American Tropics: A Literary Geography from New York to Rio' (LUP, 2013). Peter Hulme is Emeritus Professor in Literature at the University of Essex Owen Robinson is Senior Lecturer in American Literature at the University of Essex. Lesley Wylie is Lecturer in Latin American Studies at the University of Leicester. Her previous books include 'Colonial Tropes and Postcolonial Tricks: Rewriting the Tropics in the novela de la selva' (Liverpool: Liverpool University Press, 2009).